Whether you rent or own your home, you want to make the property as unattractive as possible. Things like outdoor lighting, guard dogs, alarms and security systems act as deterrents for would-be burglars and trespassers. Unfortunately, common mistakes can weaken your security measures. Discover the most common security mistakes and ways to avoid them. Although they may take away from your home’s aesthetic, your security cameras should be visible from the street. One of the benefits of security cameras is that they act as a deterrent for burglars. By hiding your cameras, you negate that benefit. And even if they do not succeed at discouraging thieves, you will have video footage that can help to identify the trespassers. But remember, you want the cameras to be visible, but also out of reach to prevent tampering and vandalism. A sign warning that your property is under surveillance can also help. Choosing the right locations for your security cameras may seem easy, but there are lots of factors to take into account. Security cameras should be able to provide proper coverage around the clock. You need to consider direct sunlight in the afternoon, which can washout the footage, or how things such as rain, snow, or tree branches, may compromise the field of view and produce unusable footage. In addition, internet-connected smart cameras need to be installed where there is strong and consistent Wi-Fi signal. Keep your camera in a sheltered area that’s in the shade all day. You may even want to invest in camera housing for added protection. Also, test your live feed in a variety of weather conditions to ensure your cameras produce usable footage in all situations. While low-priced systems may seem appealing, often times you get what you pay for. These systems may not come with the special features you want or need, but if budget constraints limit your options, something is better than nothing. However, if you have a more flexible budget, you should be sure your basic needs are met. The most important takeaway: do your research. Read reviews and users’ feedback, search online for examples of the video output, and look into warranties and technical support should you need it in the future. You should trust that you are investing your time and money into a quality camera that will satisfy your surveillance needs. When you have an internet-connected system, you are able to access your feed remotely. A default username and password are used for the initial access. 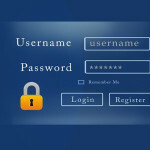 A common mistake is that users do not change these default username and passwords, which are usually available on the manufacturer’s website. Hackers know this and if you fail to change these, they can gain access to your feed. From there, they can learn about your daily routines and get an idea of the layout of your home. It is strongly advised to change the defaults as soon as possible and create a password that is unique, but that you can remember. Professional installation can help you avoid many of the aforementioned mistakes. They will choose appropriate locations for your cameras based on your needs and the environmental factors. If your cameras aren’t functioning properly, they will come back to fix the issue and most companies will offer a warranty. If you opt for a DIY installation, you are responsible for any issues that arise. Need help finding the right security system for you? Choose SecurityCamExpert.com! We can guide you through the process of choosing the security cameras that will best suit your needs. If you are in Southern California, we can even install the system for you. Visit us online or call 888-203-6294 to learn more. You can also connect with us on Facebook, Google+, Twitter, Linkedin, and Pinterest. Burglars often like to creep in the dark night in hopes of being undetected. This is precisely why night vision security cameras are so important. But keep in mind that the value of night vision cameras is directly connected to their effectiveness and performance. To employ the best night vision surveillance system, keep these things in mind. Remember that all IR CCTV cameras have a quoted maximum range. For example, these can range from 5m to 50m or longer. This range is the absolute maximum, meaning at these extremes, your image quality will not be its best. Measuring how far you need to see and then adding a third of that is recommended. For example, if you need to see 30m, it may be advised to invest in a 40m camera. On the other hand, you don’t want the IR to be too powerful either. Most CCTV cameras cannot adjust the IR brightness, thus, if a subject is too close to a camera designed for long ranges, it will simply look too bright and/or washed out. IR LEDS are designed to brightly illuminate the center of an image, therefore, most of these cameras will not have a very wide angle of view. While this is not a common problem, some cameras will have varifocal lenses that can zoom out. With these, be aware that at the wide end of the zoom, the corners of your image will not be covered by night vision. 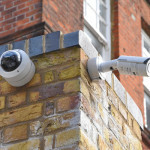 For all security cameras, you want to be sure that the field of view is clear of obstructions, but this is especially important for IR CCTV cameras. If there is something like a branch or leaves in the frame, the LEDs will focus on these and they will be brightly lit. The rest of the image will be made darker in order to compensate, thus rendering the image is useless. In order for night vision cameras to work, IR needs something to reflect off of. When users point a camera into an empty field, they may be alarmed when there is nothing but darkness and may assume the night vision is not working, but this is not the case. When a subject moves into range, the IR can reflect off of it, and thus, the subject will be visible. Keep the height at which your cameras will be installed in mind when you are considering the power of your night vision. This is especially important when installing cameras above ground floor height. For example, if your car is parked 4m away from your house, and your camera is mounted 3m from the ground, the actual distance from camera to car is 5m. Share your own night vision camera tips with us on Facebook, Google+, Twitter, LinkedIn, and Pinterest! For a great selection of night vision security cameras and surveillance equipment, visit SecurityCamExpert.com or call 888-203-6294 to speak with us directly. When security cameras are installed and positioned properly, they can provide effective security and video footage to protect your property. However, simple mistakes when implementing a security system can negate its effectiveness. To maximize your security systems performance and efficiency, be sure to avoid these common security camera mistakes. Try not to assign too many tasks to a single camera, as these will likely be executed poorly. Choose a single goal, such as capturing a face, a license plate, or general coverage, and optimize the placement and settings for that goal. While the highest point of your property may seem ideal to capture a wide viewing range, it will not provide detailed images for identification. You want to place cameras high enough to deter tampering and vandalism while still finding a balance between the ultimate goal, the effective range, and number of cameras you are employing. This is why careful planning and calculations are crucial. Doorways and windows are prone to an imbalance of light distribution, and, therefore require Wide Dynamic Range (WDR). Without it, you may not be able to capture a decent image unless the camera is in the proper angle or the person looks directly into the camera. Be sure to choose the right features for the appropriate locations and environment. Because of their abilities, PTZ (Pan/Tilt/Zoom) cameras tend to be more appealing to customers. The problem is that after taking advantage of the features, the camera is hardly ever returned to its “home” location, and thus, is left focusing on less important areas. While they can be helpful tools in various situations, PTZ cameras are better used in conjunction with fixed cameras. That way, fixed cameras will always be focused on the key areas while the PTZ cameras can monitor the surrounding areas or points of interest as necessary. Protecting your equipment is ever important, but sometimes, users leave the central brains of the systems as an afterthought. Be sure that the placement of your DVR/NVRs is both secure and efficient for your system. You need to consider lighting, especially if you need to capture video overnight. Aside from night vision, be mindful of the available light in your camera locations. Be sure not to mount cameras too close to bright lights, which can disrupt the view. It is important to adjust and program each device for a maximum balance of capturing required information and maximizing storage returns. If this is neglected, you may cause your DVR/NVR to shorten, thus limiting video retention. Choosing a system that does not allow for customization of video retention time will limit your security system’s flexibility. Instead, look for systems which will allow you to modify your storage options based on your individual needs. Build your ideal video surveillance system with us! Visit SecurityCamExpert.com to browse our stock or call 888-203-6294 to discuss your options. You can also connect with us on Facebook, Google+, Twitter, LinkedIn, and Pinterest. When it comes to security, you want to deter intruders from targeting your property. Investing in advanced security and surveillance cameras with the latest technologies can be a smart approach, however, in order to be effective, they must be installed properly. Here are a few common mistakes to avoid when installing a security camera system on your property. The presence of security cameras can deter bad behavior, so why would you hide them? Making them visible from the street, yet out of reach, is a good idea. Keeping the cameras out of reach is important to prevent any tampering or vandalism that could compromise their performance. Burglars are always on the hunt for an easy target, and homes or businesses with security cameras create an extra obstacle. The important places to monitor are rather obvious, but you must also take intermittent lighting and weather conditions into consideration. Things like direct sunlight can wash out your recordings, while rain or snow can build up on the lens, and windy days can make branches and leaves a problem. All of these can interfere with your recordings and possibly make your footage useless. The best way to avoid these issues is to employ proper housing to protect and shade your cameras. Keep an eye on your feed to ensure that various weather conditions are not interrupting your surveillance. Furthermore, if you’re using IP cameras, it is crucial that each camera location has strong and consistent Wi-Fi signal. Weak or spotty connection will impede your camera system’s performance. Unfortunately, not all security cameras are equal. While there are many inexpensive cameras and systems that may seem appealing (especially to your wallet), you will likely run into performance issues. When shopping for security cameras, be sure to pay attention to features and specifications. Look into user feedback and reviews to ensure you are making a sound investment. With anything security related, we can’t stress enough how important strong passwords are. And always, always, ALWAYS change the default password. If someone gains unauthorized access to your surveillance feed, they can study the layout of your system and your daily routines, mapping out the best time to attack. If you have an internet-connected system, it likely offers remote monitoring, thus you need a password to access it. Again, change your default password as soon as possible, and choose a strong, complex, and long password that you can remember. While it may seem more practical to set things up on your own, it might be better to leave it to the professionals. You don’t want to risk ruining your equipment because you installed it improperly. Trustworthy companies usually offer warranties, and will come back to fix any issues should they arise. Do you have any other advice to add? Share with us on Facebook, Google+, Twitter, LinkedIn, and Pinterest. For a great selection of quality security cameras & CCTV surveillance packages, visit SecurityCamExpert.com. For more information about our products and installation services, please call 1-888-203-6294. If you haven’t already, it might be time to upgrade from analog security cameras to an IP security camera system. 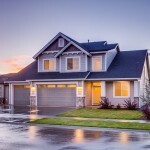 IP security cameras are easier to use and connect to your home network. Your surveillance feed is more readily available and can be accessed remotely, and your storage space can easily be expanded or adjusted based on your individual needs. While there are many benefits of upgrading, IP cameras can be more vulnerable to hackers. The good news is that these issues can be combated with smart security measures. Here are some things to consider to protect your IP surveillance feed. Keep your firmware up-to-date. Manufacturers are always watching for any system or security vulnerabilities. When one is found, they work hard to address the issue and inform their customers of the necessary firmware update. Pay close attention to these notifications so that your system is secure. Checking your camera manufacturer’s website can also help, in case you don’t receive, or happen to overlook, any notifications. 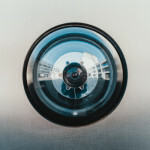 Plain and simple – if you don’t want your feed to end up on the Internet, don’t connect your cameras to the Internet. Keep your cameras on a local network with non-routable IP addresses (ex. 192.168.0.5 or something similar). Though, even with this measure, your cameras could still be exposed by software that sets up port forwarding or uses UPNP to expose your cameras to the Internet. Be sure to visit your camera manufacturer’s website to learn how to set them up in local-only mode. Any password can be better than no password at all. Most cameras do not have password protection for video feeds set on default. After you install and set up your cameras, be sure add password protection to secure your feed. Create a username and strong password, and make sure you change it periodically to increase security. Do your cameras come with default usernames and passwords? Change them immediately after setup and installation. This is the easiest way for hackers, or anyone, to gain access to your feed. 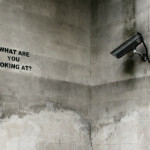 When it comes to wireless cameras, the only network you should connect it to is a WPA2-encrypted wireless network. Encryption adds protection and will keep hackers away. Think about the placement of your cameras. Only place cameras in areas inside your home that you are comfortable with being monitored. No matter how secure your system is, there is a chance a new vulnerability has not been found yet and you could become the victim. Remember, when in doubt, leave the camera out. Connect with us on Facebook, Google+, Twitter, and Pinterest to share your own tips with your peers. Or visit us online to browse our outstanding collection of security cameras, CCTV surveillance equipment, and more. Have any questions? Feel free to contact us at 1-888-203-6294. Security camera systems are a great way to protect your family, home, business and property. You can monitor your security camera systems while you’re at home or away, providing you with a stronger sense of security and safety as you go about your day to day activities. Security cameras can help catch burglars in the act, or even deter them from targeting you. But much like everyone, security cameras are not perfect. Issues may arise here and there, but these tips should help you troubleshoot some common problems. When there is no picture or signal, you want to double check that everything is properly connected. Start by ensuring that the power adapter is plugged in and the outlet in which it is plugged is functioning correctly. If your security camera is plugged into a surge protector, be sure that the surge protector is, in fact, on. To check if your security camera is receiving power, locate the light sensor and cover it with your finger. If your camera is receiving power, this will activate the night vision and you should see the LEDs glow red. If your camera has an Auto Mechanical IR Cut Filter, you may hear a clicking noise. Next, you’ll want to see that the cables are properly connected to the TV or DVR. If you suspect an issue with the extension cable, switch the cable that is connected to the camera. This will help to determine whether or not there is an issue with the extension cable run. If you have issues with picture or signal on your TV, be sure that the correct input channel has been selected. Common inputs include: Input, AV, Channel, Line 1, Line 2, AUX. If a DVR is involved, make sure everything is properly connected (the camera video cable should be connected to the Video Input/Video IN/Camera IN port) and the correct input is chosen. You may also try connecting the camera to a different channel. Also, double check that the channel does not have Covert Recording enabled. This feature will prevent the camera from being viewed locally. If the picture is too bright or dark, you are likely having issues with the light source. If it’s too bright, be sure that your camera is not directly pointed at a light source (e.g. sun, spotlight). You can adjust the angle, or, if your camera has a sunshade, adjust it to block some of the excess light. If your picture is too dark, you’ll want to angle your camera more toward a light source and/or adjust the sunshade to let more light in. You can also control the brightness and contrast settings on the device that your camera is connected to (e.g. DVR, TV, monitor). If you are still having problems, you may need to find a different location for your security camera. If your picture is not clear, you may need to clean your camera lens. Check for dust, spiderwebs, dirt, etc. Another possibility is that your extension cable runs may be too long; the distance maybe compromising the clarity. If you have a camera with a varifocal lens, you may need to refocus the lens by adjusting the focus and zoom settings. Periodic readjustment of varifocal lenses is common. 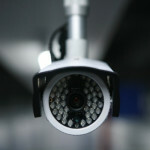 For all your security camera needs, visit SecurityCamExpert.com. Along with our excellent security equipment, we also offer free CCTV Camera System quotes, installation, and technical support. Learn more online or give us a call at 1-888-203-6294. We are always happy to help. Don’t forget to “Like” us on Facebook, give us a “+1” on Google+, follow us on Twitter, and pin with us on Pinterest. We look forward to connecting with you!